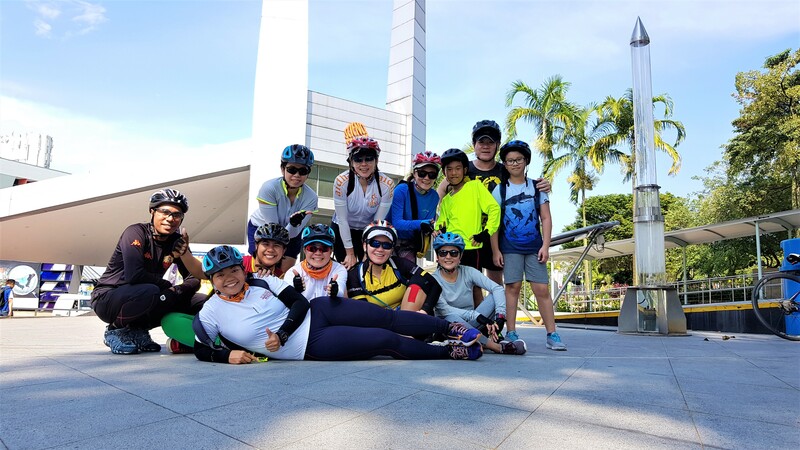 A lovely Saturday morning was spent with 12 members, including 2 boys age 10 and 12 years old exploring the western part of Singapore. 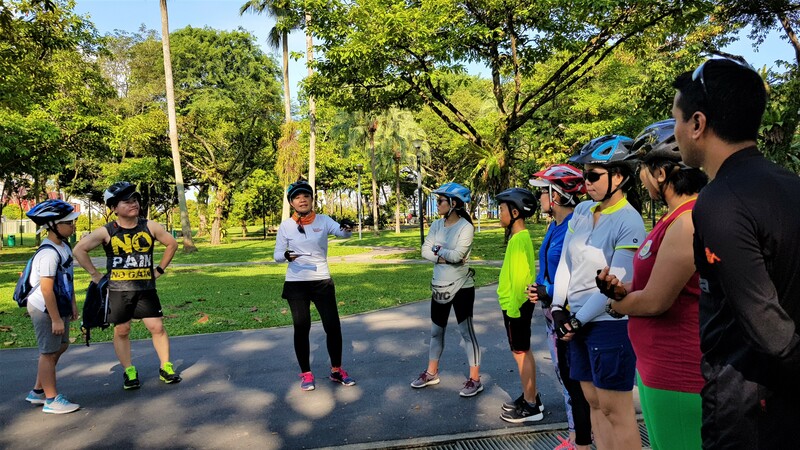 The entire route loop is around 30 KM, wholly on PCN and shared PCN – Park Connector Network, this is how we referred to our bike paths in Singapore. We are initially worried if the 2 boys could complete such distance with us as they had never done it before. 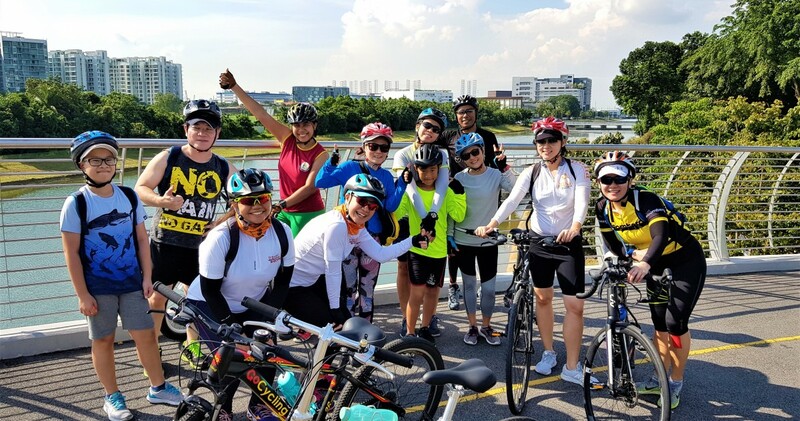 We started the journey from West Coast Park, riding on the first bicycle overhead bridge in Singapore. There is no need to dismount and push at all. The overhead bridge went in a circular slope and we simply rode up and across the bridge before everyone happily glided down the path on the other end of the bridge. 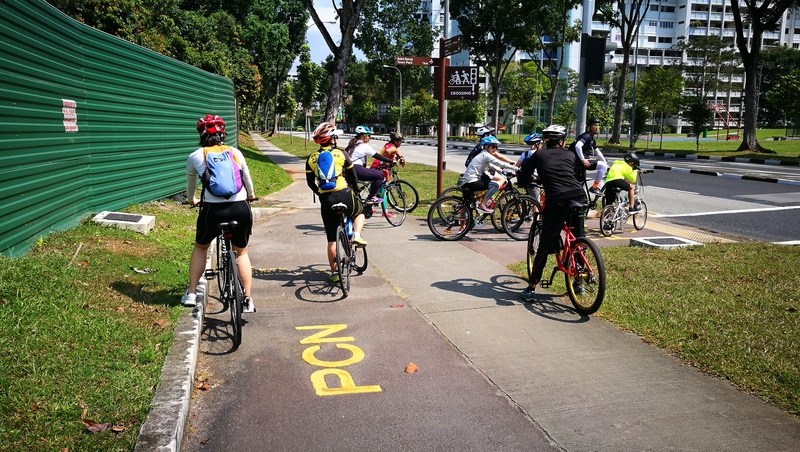 As there are some good part of the route are on shared PCN, we slowed down considerably especially in Jurong East vicinity as we must look out for traffic going in and out of buildings, pedestrians walking on the PCN which will always have the right of way, then maneuvering on narrow paths, sometimes with blind spots. We got to relax when we reach Chinese Garden Park and really enjoyed the tranquility as much as we can. 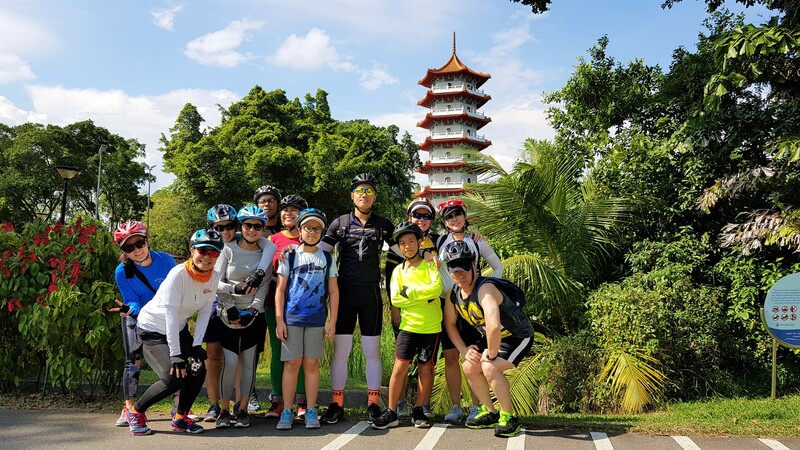 Our destination is Little Guilin in Bukit Batok Town Park and we made it there with schedule. 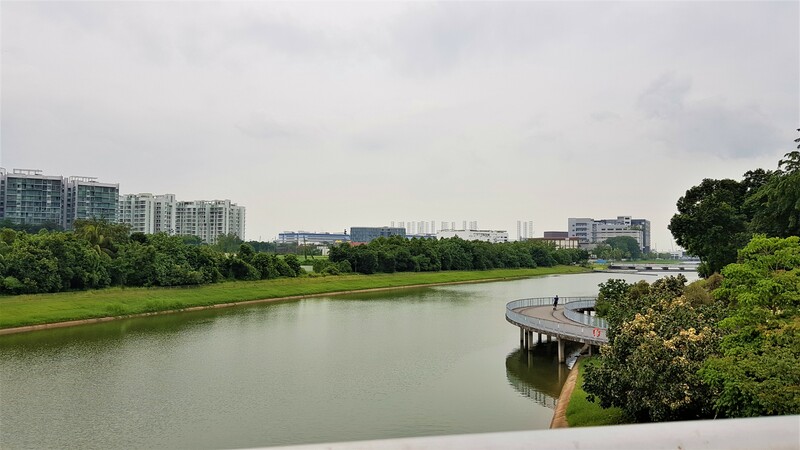 The park is designed like that of Guilin in China - a granite rock sitting within a lake. Not forgetting our 2 boys who did very well, keeping up the adults most of the time though we need to do some coaxing of MacDonald’s treat to motivate them for the journey back to West Coast Park ! 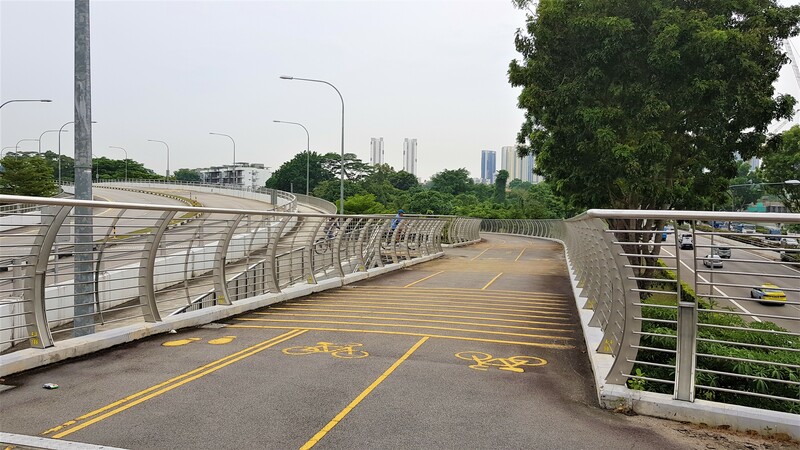 The neighbourhoods of Singapore are not a great place to cycle around despite there are designated (shared) PCNs. Many of these paths are build before we decided to go traffic light. So they are not built wide enough for different groups of users to use it at the same time. There are sharp bends, turns and blind spots which make it dangerous for the users especially the most vulnerable group of all, the pedestrians. There are also simply too may traffic junctions around. 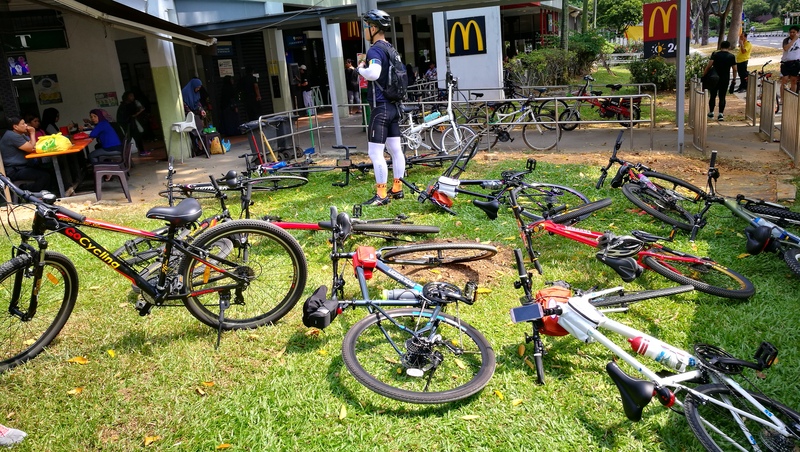 We got more tired doing the numerous dismount and push than to cycle continuously for another 30 KM. Nevertheless, we still had fun and glad we explored these neighbourhoods in the West. 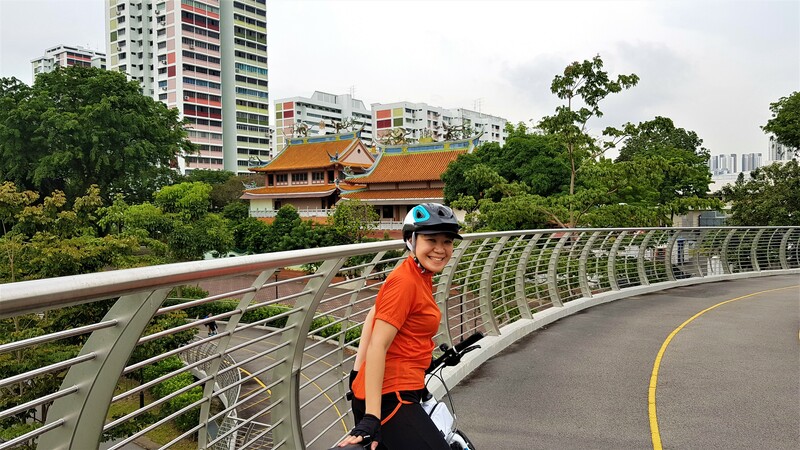 At least I can tell you the experience of cycling in this part of Singapore ! Haa Haa !